A dynamo and lights were fitted. The Shimano hub and lights have served me well, but made things easier in terms of lighting - I was never left without lights if I had gone out and I don’t have to worry about batteries at all. The handlebars were replaced with mountain biking bars so that it was of a similar height to that of the M type. Overall, it’s done well. However, I’ve always regretted not getting the colour that I wanted when I purchased it and on occasion, I’ve missed not having a rack. So, with a new job in Manchester, I decided that now would be the ideal time to upgrade, especially as I would be cycling to work on it daily. Hermes is the newest addition to the stable. 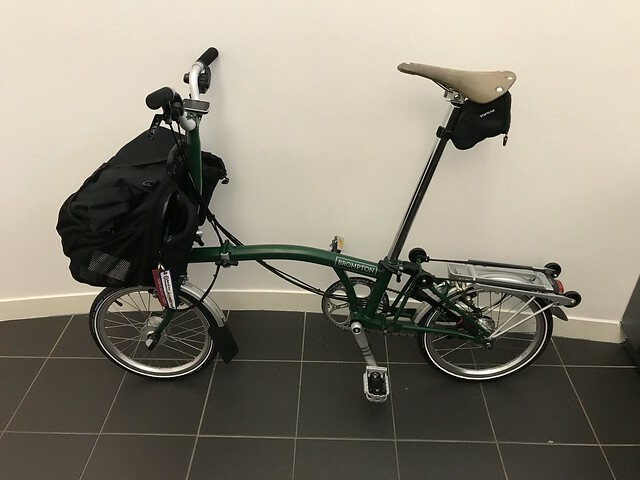 It’s a Brompton M6R. M type handle bars, 6 gears and a rear rack. But then I rarely rode that one and I didn’t keep it for very long. So I’ve named this one Hermes. 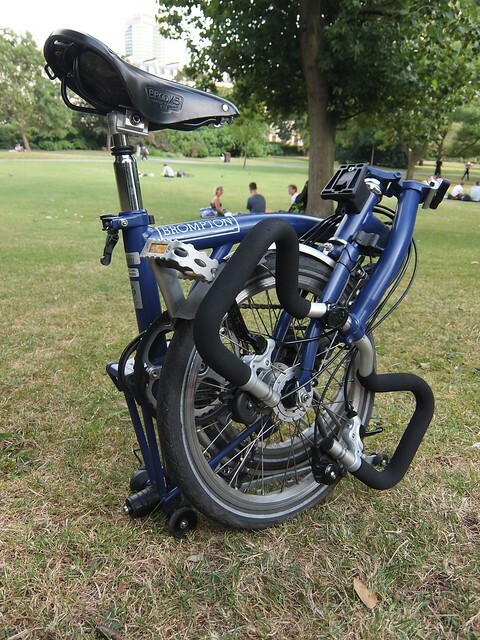 I’ve already noticed that there are some benefits to the 2017 version of the Brompton. The new brake levers and gears are a massive improvement over the older gear levers. In fairness, the ability to upgrade these would be well worth doing on an older model. The newer M type bar is OK - I’ve not noticed a huge difference over the older versions that I tried, though it is a bit different to my MTB based one that I’ve just left. However, I’d say that it’s pretty good. Overall, I’m impressed with it and I look forward to using it! Loki has now been retired from active service and has been sold off, so I’m down to just this one. Looking forward to using it!